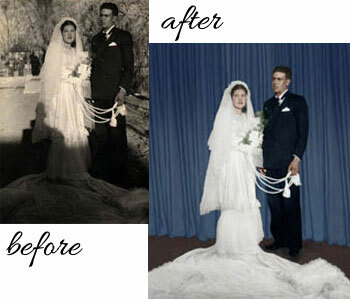 Whether you need a tear edited out, replace a missing section or add color to a Black & White photo, it all can be done for just $49.99 . 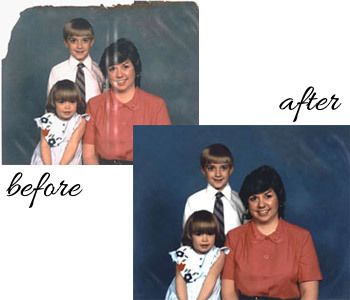 The process is so easy, just bring in your photo our office, or email us a high-resolution scan and we will take care of the rest. 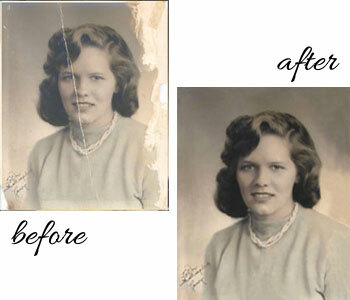 Let us know what items you want digitally corrected and we will take care of it all for one flat price. Once we are done, we will provide a digital download of your newly corrected digital image. 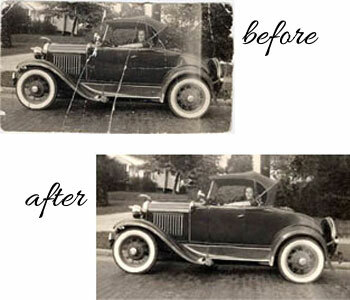 Repair cracks, rips, tears, mold, discoloration, bad lighting, add color to a black & white photo or replace a background. Anything you want fixed is one flat rate! The process is so easy, just bring in your photo our office, or email us a high-resolution scan and we will take care of the rest. 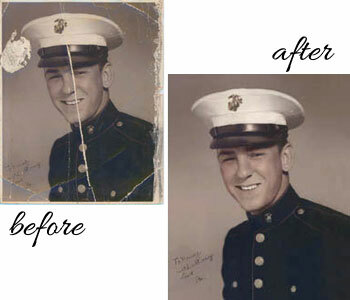 Let us know what items you want digitally corrected and we will take care of it all for 1 flat price. 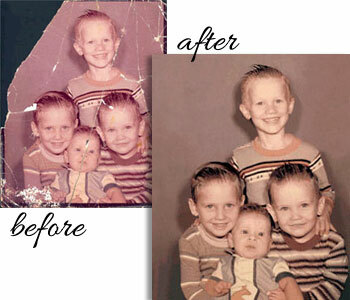 Once we are done we will provide a digital download of your newly corrected digital image. Each additional photo is just $39.99 .